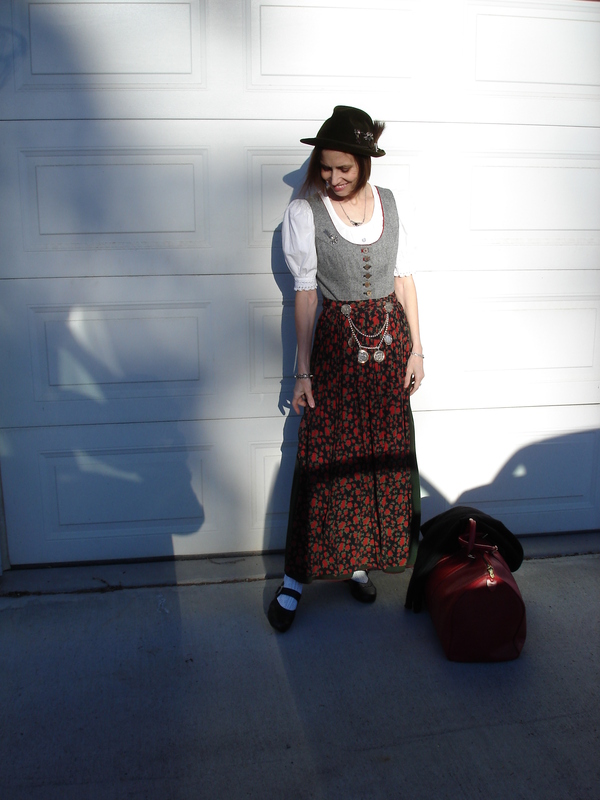 This dirndl is the one I modeled in the fashion pageant at the Fairbanks’ International Friendship Day this year. There were so many beautiful traditional clothing that it is impossible to show them all on this blog. Thus, I will present just some of my absolute favorites. I would have quite difficulties to say what I enjoyed the most of International Friendship Day. There were booths that showed and sold items from various countries. There were food booths with traditional dishes. The smell of spices and sweets was everywhere in the air. There were so many food stands it was really hard to decide what food to try. Dances encompassed styles from very sultry Argentine Tango and belly dancing, to smooth waltz, and acrobatic break dance. There was even tap dance in the style of the old Charlie Chaplin movies. I was very impressed by a dancer who balanced a saber on her head. I had touched the saber prior to her dance and it was preppy sharp. Music ranged from symphony orchestra over drums over jazz to Chinese duets. Now here are my favorite shots. I will explain below where the clothes come from so you have the joy to guess. 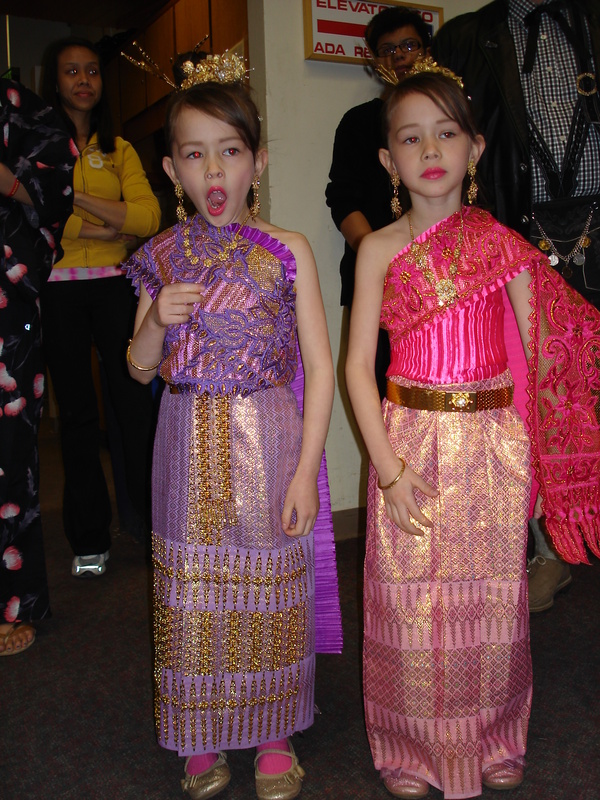 The cute little girls are wearing Thai outfits. 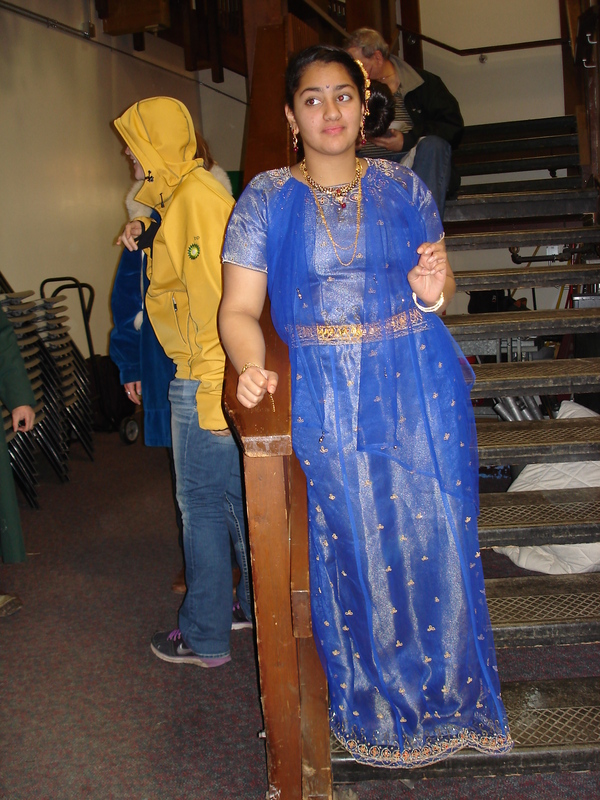 The photo that shows a wonderfully gold embroidered cobalt blue dress is from India. 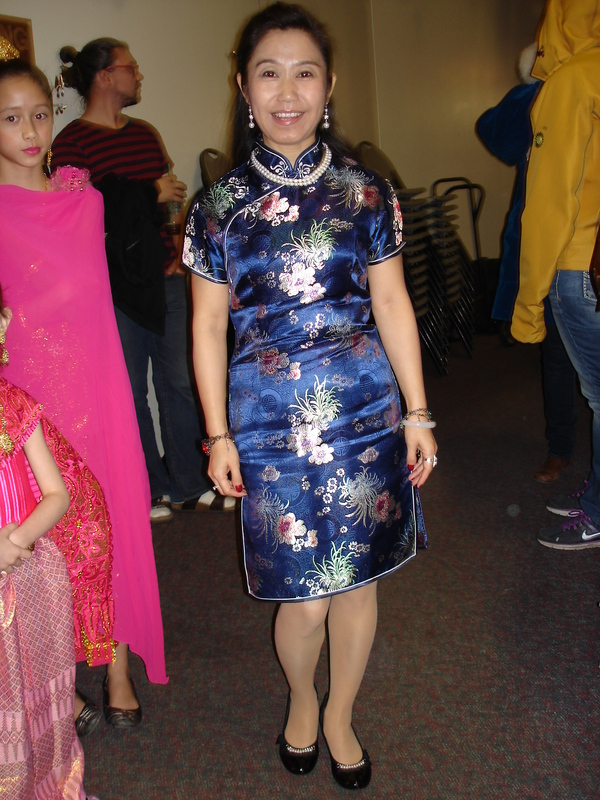 The next photo presents a slim cut traditional Chinese silk brocade dress. 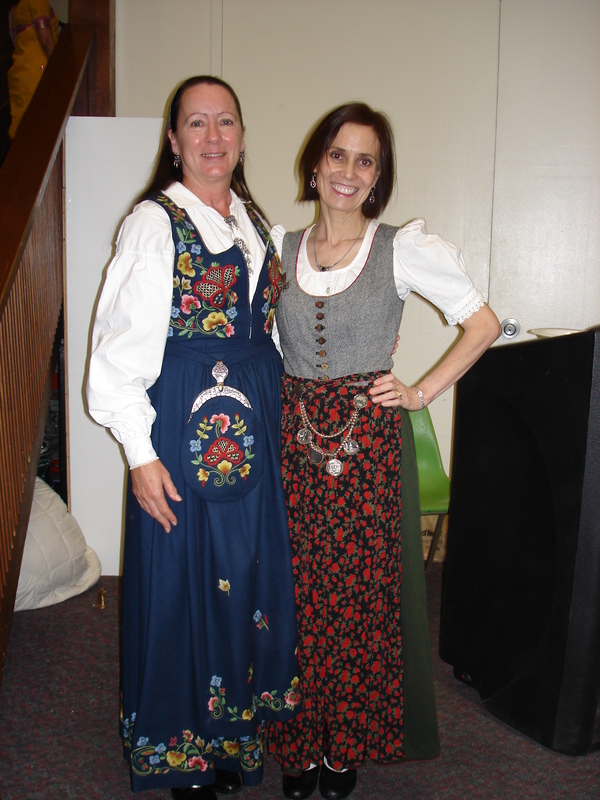 The last photo of this post contrasts a Norwegian dress to an North Italian (Tirolean) dirndl. While the dresses look quite similar with respect to the cut, their material is quite different. The Norwegian dress is a very heavy wool fabric and the apron is wool too. The flowers are embroidered. The dress is closed by hooks. The blouse is a full blouse without buttons. It is hold together by the jewelry. The dirndl, on the right hand side is a light wool fabric and buttoned with wood buttons in the front. The apron’s roses are a print pattern on cotton. The side to which the bow is bound tells the family status of the wearer. The blouse is a half blouse similar to the blouses worn under a sari. The blouse is buttoned with mother-of-pearl buttons. The silver chain with coins is only worn on holidays and Sundays. Get the support, motivation, and tips to look to your best in life. Subscribe to get a subscription to High Latitude Style. Deep inside I know when I can do it you can do it too.